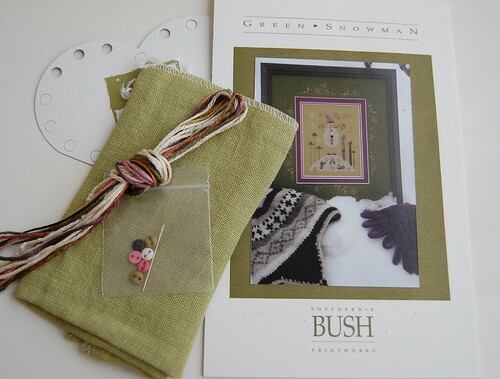 Shepherd's Bush "Green Snowman" kit. Don't those silk threads look yummy? 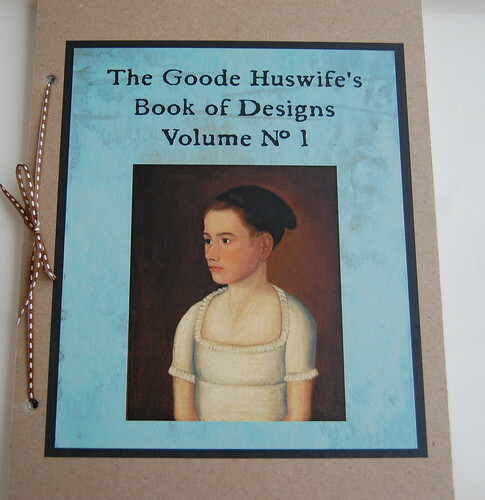 The Goode Huswife Book - I finally bit the bullet and ordered it from Elegant Stitch! 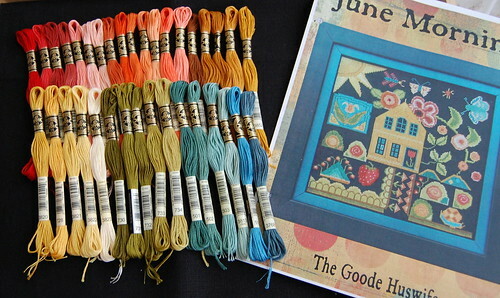 June Morning, a pattern in the book, with the threads and fabric. I love entries that show new goodies! 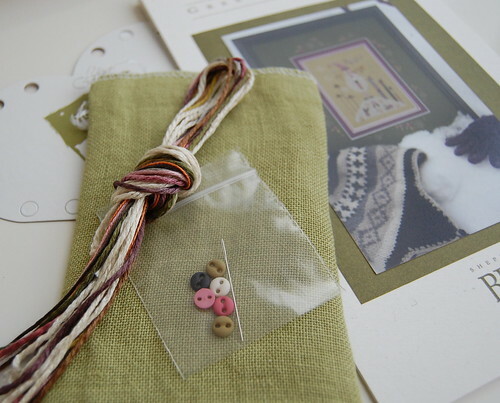 These look like they are going to be very enjoyable to stitch! Your new goodies look wonderful. The threads AND the fabric look yummy on GS. I was looking at this one yesterday in my stash, thinking it would be lovely to do. There's so many I want to stitch all at once - help! Oh such pretty things! I am really wanting that Goode Huswife book!!! Love the green snowman too! I love Shepherd Bush design!